Squared tiles have been present for a long time, however it is only now they are being considered an important asset in interior design. There is no doubt that squared tiles are popular and back on trend. One of the factors that has helped in their comeback is the fact that geometric shapes are a must at the moment and are often used as kitchen wall tiles. But can you introduce them to your home? Here are some suggestions. You can find square tiles available in many colours, so this is the perfect opportunity to combine different ones! The best way of doing this is mixing colours that come from the same colour palette. The other way of doing it is by picking neutral colours and maybe introducing a bold colour with them for a standout effect. If you are a fan of vintage looks then why not re-create the style of Victorian bathrooms? Combine black and white squared tiles and add some vintage furniture, and you will get an elegant, traditional look full of sophistication. In addition, black and white are the easiest colours to match, which means that if you like to periodically change your décor, you won’t have a problem in doing so. You can use squared tiles for another trend of the moment – patterns! Adding a pattern to a room can help to give life to the place if you have used rather neutral and subtle colours. You can work with square tiles to create a farmhouse pattern for example; this would work lovely with country and rustic looks and help make a room cosy and welcoming. If you worry about the look being overwhelming, you can always contrast the look with your décor. In the case of country looks, add some contemporary furniture to avoid looking old-fashioned. We can’t forget to mention mosaics when we talk about squared tiles. A favourite when decorating, mosaics can totally change the look of a place by giving a unique texture and pattern. The square tiles used to make mosaics are much smaller and highly suitable for Moroccan, Mediterranean or coastal looks. 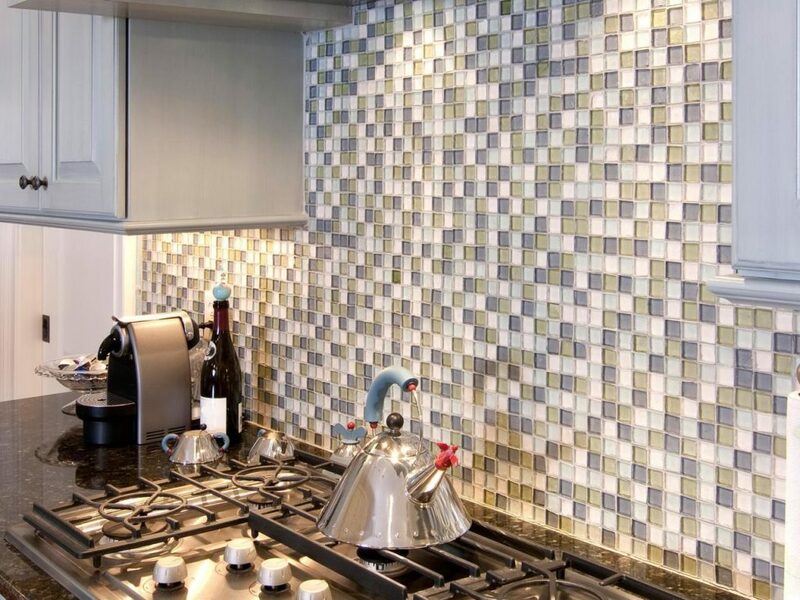 Mosaics can also be used to create a feature wall, or as a backsplash in the kitchen. A great way to combine mosaic tiles and other tiles is by creating border with mosaic tiles, and for the rest, use more neutral and bigger tiles. As a result there is a running contrast between not only colours but also sizes. Those are some of the options you have with squared tiles, but you be able to think of many more – it all depends of your personal choice. But as you can see, you can’t go wrong with squared tiles, so what are you waiting for to pick your favourite squared tiles!